2. Complete the Educational Recommendation (1st - 8th grade) form. 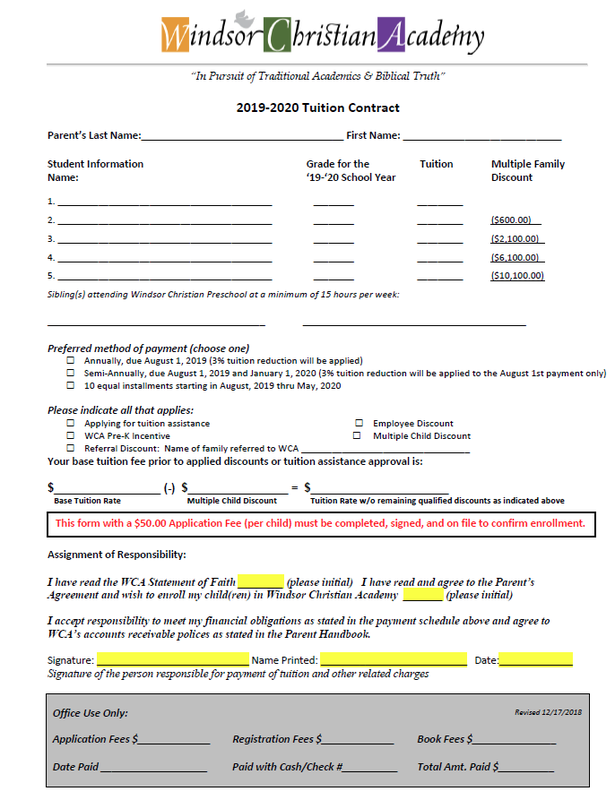 This form must be filled out by your child's current or prior teacher and faxed or mailed directly to Windsor Christian Academy. 4. Schedule an appointment to interview with the principal. 5. All students new to WCA will not be considered enrolled until the parents receive a formal letter of acceptance via email. If the school is full in the student's grade level, we will notify parents as early as possible that the student is on a waiting list.